Thank You, Salt BaeThe viral sensation arrives in New York and sprinkles some digital fairy dust on our critic’s Instagram feed. Have Your Own Cheers Moment at Midtown’s Best Bar for Drinks After WorkFind beer, hearty sandwiches, and even cheese fries at Hudson Malone. Review: With His Posh New Midtown Empellón, Alex Stupak Means BusinessThe menu at this ambitious outlet includes a variety of creations calculated to appeal to this new, upscale dining terroir, including $125 fajitas. These New Fajitas Cost $125 — Are They Worth It?Chef Alex Stupak’s latest creation involves A-5 beef and a hefty price tag. Our critic offers his take. The End of the Carnegie Deli, a True New York Tourist TrapEven if most New Yorkers took the Carnegie Deli for granted, it’s hard not to feel like we’re losing something integral to the fabric of the city. Empellón Will Expand to Midtown This FallWith two floors and 150 seats, the Madison Avenue location will function as chef-owner Alex Stupak’s brand flagship. 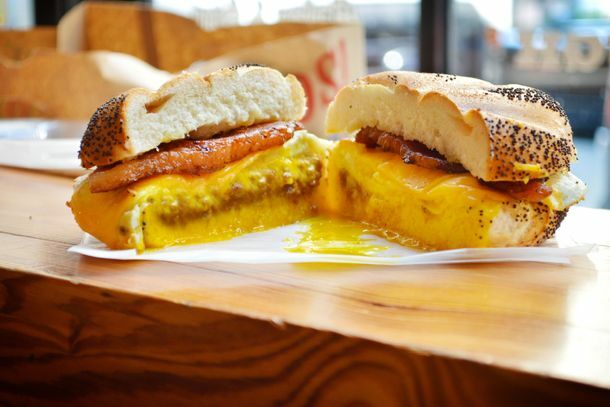 An Awesome New Breakfast Burger Arrives in NYCIs it a burger with an egg on it? Or is it a burger-enhanced egg on a roll? A New Mile End Is Open in ManhattanExpect smoked meat, poutine, and Canadian corn dogs. The Absolute Best Midtown Bar for After-Work DrinksWhether you need something stiff after a dreary nine-to-five or just want to grab a couple of pints with your co-workers, these are the bars to hit. 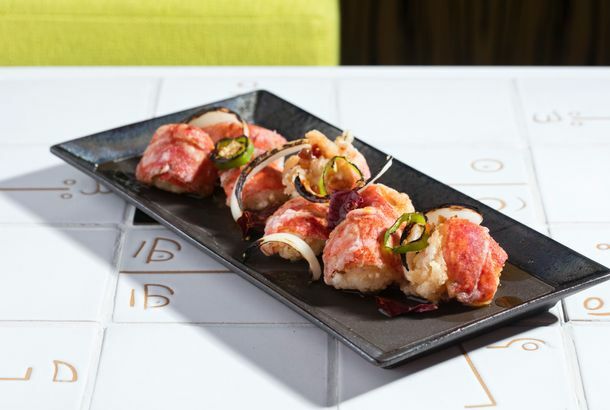 Saburi Is ClosingThis follows on the heels of midtown staple Sushi Zen’s recent shuttering. 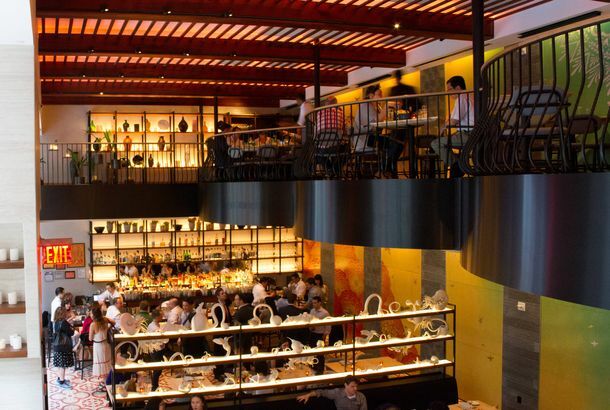 The Pennsy Opens in Midtown TodayIt opens today at 33rd Street and Seventh Avenue. Midtown’s Bottle & Bine Cares Equally About Food, Beer, and WineIt unites three power women in the industry. 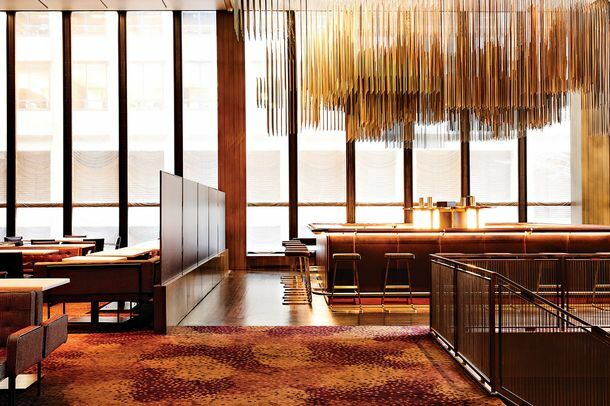 At Gabriel Kreuther’s New Midtown Home, the Bar Outshines the Dining RoomThe lounge is one of the best new restaurants in the neighborhood, while the main room offers its own set of slightly more mannered pleasures. Take a Look at All of the Glorious Food at Midtown’s UrbanSpace VanderbiltRoberta’s pizza! Mimi’s Hummus’s shawarma! Dough’s doughnuts! First Look at UrbanSpace VanderbiltIt soft-opens, with 21 stellar vendors, on September 14. Gabriel Kreuther’s New Restaurant Is Absolutely GorgeousThe alum of the Modern is serving a prix fixe dinner menu for $98. First Look at ChevalierThe charcuterie is made in-house, and pastry chef David Carmichael is baking his own baguettes. Soho Sandwich Shop Alidoro Opening Midtown Location on ThursdayThe menu will be supplemented with tea, coffee, and salads, not to mention breakfast and a new namesake prosciutto sandwich. Papaya King Launches Its Own Hot-Dog Truck Next WeekThe portable Papaya will offer all of the dogs and juices and tweet its locations daily. 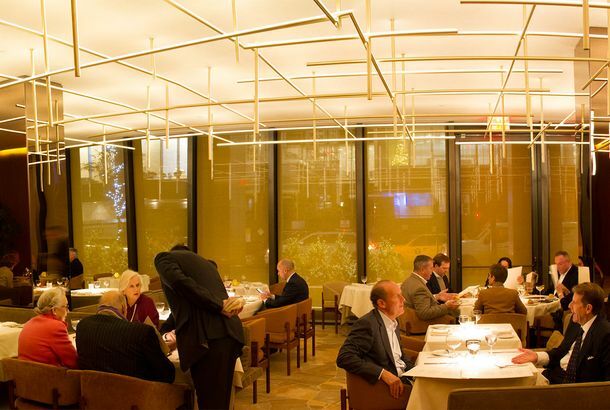 Uh-oh: Michel Richard Closes Gallery at Villard Michel Richard for ‘SummerThe restaurants opened last October. Employee Sues Midtown Starbucks, Claiming Co-workers Fondled and PropositionedLawsuit alleges NYC stores have a pattern of mishandling harassment complaints. 4Food in Midtown Closes TodayThe restaurant opened in September of 2010. Midtown’s Famous Oyster Bar Closed Last NightPour one out for the sea-shanty-themed dining room. What to Eat at Butter Midtown, Alex Guarnaschelli’s Newest VentureWild-boar ragout, butter-poached lobster, and a $114 steak. John DeLucie Is Indeed Involved With the King Cole Bar RevampExpect “a dynamic epicurean experience” from DeLucie and his team. What to Eat at Enduro, a New Midtown Restaurant From the Owner of Junior’sGet ready for soft-serve cheesecake. Quality Italian’s Chicken Parm Now $58 and Apparently CustomizableThe restaurant’s hit dish is now even more expensive than Carbone’s famous $50 veal parm. Expansion News: Dylan’s Candy Bar and Coffee Bean & Tea LeafBut not together! Ippudo’s Midtown Location Opening on July 13Start waiting in line now. A Seriously Hot Neighborhood: How Midtown Became the Sichuan BeltSome of the city’s best regional Chinese food is clustered in the Thirties. Rainbow Room Now Officially a LandmarkPour some bubbly! Pop Burger’s Midtown Location Is ClosingWe’re told the management company is making major renovations to the building.